New England policymakers hope to reach agreement in 2017 on revised market rules to accommodate state clean energy policies, as three states seek to complete renewable procurements and Massachusetts readies for a new solicitation. Although Donald Trump’s election threatens federal initiatives to reduce carbon emissions, New England is moving ahead with its plans to decarbonize through power purchase agreements, infrastructure improvements and potentially tighter emission caps under the Regional Greenhouse Gas Initiative. Separately, Connecticut has selected 25 small clean energy and energy efficiency projects totaling 402 MW to negotiate PPAs with the state’s two electric distribution companies. In December, the region saw the nation’s first offshore wind farm — Deepwater Wind’s 30-MW project off Rhode Island’s Block Island — begin commercial operation. 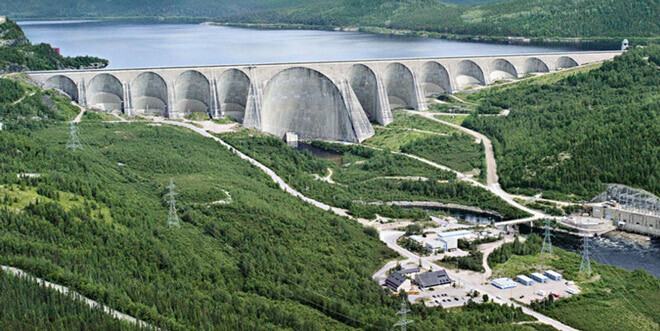 But without other, larger offshore projects to count on, importing Canadian hydropower appears to be the quickest solution for the states seeking to maintain momentum in emissions reductions. Delivering that power will require major new transmission lines. The New Hampshire Site Evaluation Committee is expected to rule on the application by Northern Pass developer Eversource Energy in September. Opponents want the entire 192-mile route of the 1,090-MW line buried. The developers have proposed only 60 miles underground. Two other transmission projects would import Canadian hydropower via cable buried under Lake Champlain. TDI New England’s Clean Power Link received a presidential permit in December to allow construction. Anbaric’s 400-MW Vermont Green Line is awaiting approval. All three transmission projects are expected to respond to the Massachusetts solicitation. Meanwhile, the New England Power Pool’s Integrating Markets with Public Policy (IMAPP) initiative, launched last summer, is trying to find ways wholesale market rules can accommodate state policies without compromising reliability or dramatically increasing costs. Meeting these goals has proved a daunting challenge. Officials had hoped to develop an action plan by the beginning of December that could be presented to ISO-NE for action in early 2017, but now they don’t expect to do so until late in the first quarter at the earliest. Proposals within the IMAPP collaborative have included various methods of pricing carbon. A carbon adder would be technology-neutral and provide market signals to both supply and demand while also creating a revenue stream for the states. There is also a proposal for a two-tiered Forward Capacity Market, with one reserved for clean energy resources. (See Markets vs. Climate Goals the Subject at NECA Conference.) Any market rule changes would require FERC approval. Although New England has been a national leader in reducing carbon emissions, it would still need an additional 25% cut from 2015 levels to meet the 2030 targets under the federal Clean Power Plan. The CPP would cap emissions from new and existing sources at 29.1 million tons in 2030. In a report by ISO-NE, carbon emissions showed a slight uptick to 40.3 million tons in 2015 compared to 2014, likely caused by the closure of the Vermont Yankee nuclear plant. One worrisome development that seems to have abated is the concern about steeply rising prices in the capacity market. ISO-NE is seeking 34,075 MW for delivery year 2020/21. About 34,505 MW of existing and 5,958 MW of new resources are qualified to participate. As expected, 2016 proved crucial in efforts to expand the region’s natural gas infrastructure, with two major gas pipelines projects falling by the wayside. The 342,000-dekatherm Algonquin Incremental Market project was completed in December, but it mostly serves local distribution companies’ heating customers and did little to aid generators. The Massachusetts Supreme Judicial Court effectively killed Spectra Energy’s Access Northeast when it ruled against a subsidy by electric ratepayers. (See Mass. Supreme Court Vacates EDC-Pipeline Contract Order.) The state’s legislature appears reluctant to codify the requirement. Other states that were ready to commit to shared costs for infrastructure were dependent on the Bay State taking a leading position. Without ratepayer-mandated support in Massachusetts, the region’s largest state, major pipeline construction appears to be at a standstill. NEPOOL's IMAPP collaborative process will suspend its monthly meetings until May to allow ISO-NE more time to develop a new market design. ISO-NE presented its proposal for a two-tiered capacity auction at last week’s FERC technical conference, saying it would incorporate state-mandated renewable generation while preventing oversupply and addressing objections to a regional carbon tax.